VMware NSX Components – In this blog post we would take a deep dive into the various components which make up VMware NSX. This is my second post regarding Zerto, but I’d like to focus on the opportunity that it gives to take advantage of the cloud, in particular, VMware vCloud Director or even AWS. We’ll talk about vCD here. This is the case when a customer has his own infrastructure on premise, but wants to have a parachute in the cloud. Or the opposite: his production is in the cloud, but he wants to keep his investment using the on premise infrastructure as DR.
First of all I’d like to thanks to Vladan Seget, who did a post about Zerto Lab setup here. I’m adding the 3rd case, recovery to/from cloud. 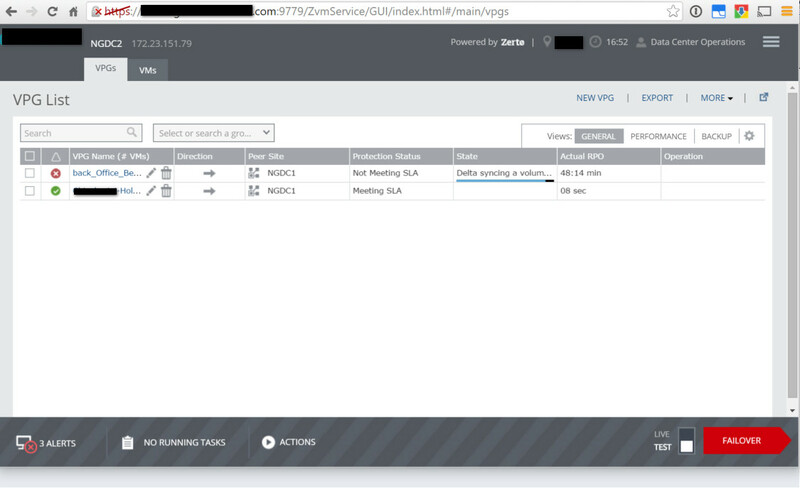 The architecture in this case is slightly different: there’s one more piece, ZCM (Zerto Cloud Manager) that is upon the ZVMs and vCloud Director (s). The installation is simple as ZVM, a light Windows Server and a package to be installed, very few options to set. We’ll access the GUI using the server’s credential. And this is what we get. I apologize for the black boxes, there will be many of them since it’s a production environment. 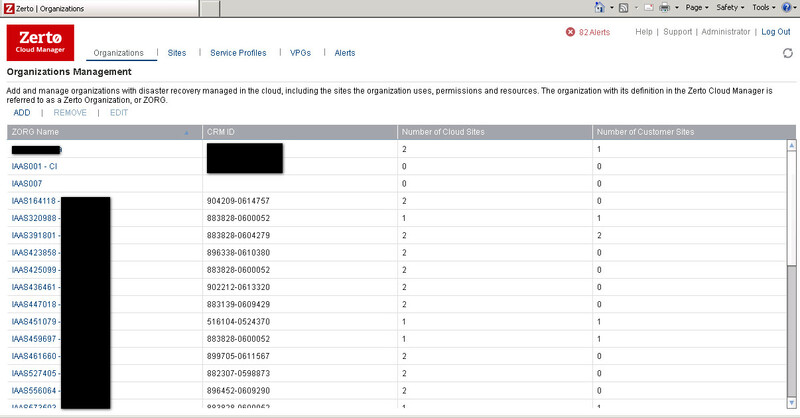 This page summarizes all our customers, name (ZORG: Zerto Organization), a CRM ID for internal purposes (billing, among other) and then the numner of organization they have in vCloud Director and the number of sites on premise that they connect. 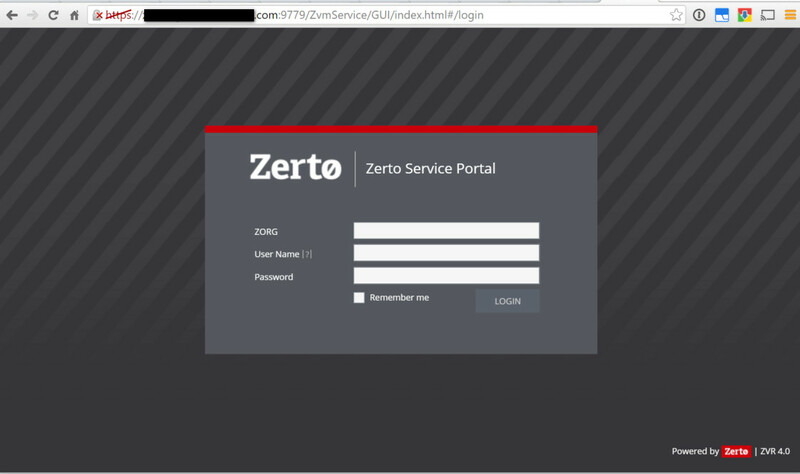 Here we should distinguish: there’s one more solution, called by Zerto In-Cloud. The customer can have all in cloud, an organization for production, and another one, usually in another DC, for replication. And nothing at home. Or a combination of this. The only limit is that a single VM can’t be replicated in 2 places. But the same organization can have vApps replicated in cloud and others on premise, for example. Now, let’s take an existing ZORG to explain what’s inside. As before, the ZORG, the ID and, most important, the path where to upload VMDK to preseed big VMs. on permissions tab, we can choose what the customer can do. 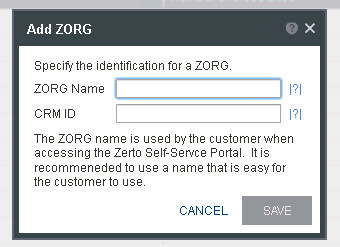 And, the credentials to access the ZSSP (Zerto Self Service Portal) that we’ll see later. This portal is needed in In-Cloud cases, and when the customer experiences a disaster in his vCenter, so he can access Zerto panel via browser. The organization (s) belonging to the customer are displayed here, with the cloud site (physical one, everyone with its own vCD), nam eof the organization as appears in vCD, and among other info, note the Max limits: we can limit either in number of VM either in storage GB for every customer. 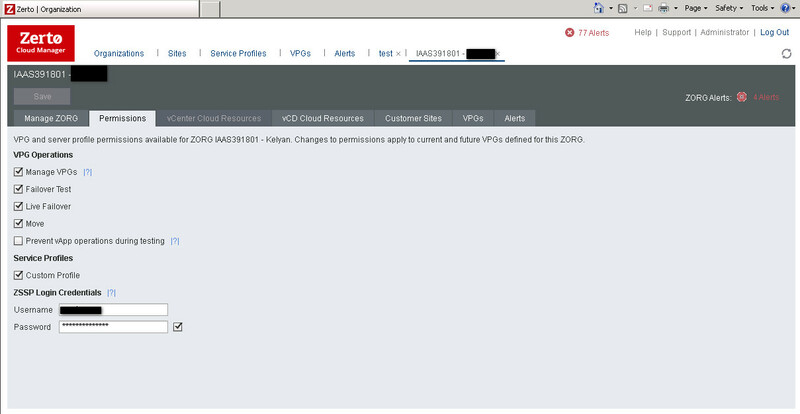 ZCC, Zerto Cloud Connector – in this case the customer has 2 vCenter connected to his organizations. The connector is a simple VM, deployed automatically by ZCM, that has 2 NICs: one connected to the customer’s organization network, the other one to the main management network. To better understand the role of the connector, it’s like a proxy: in this case Zerto is multitenant, the customer can manage and see only his own VMs. 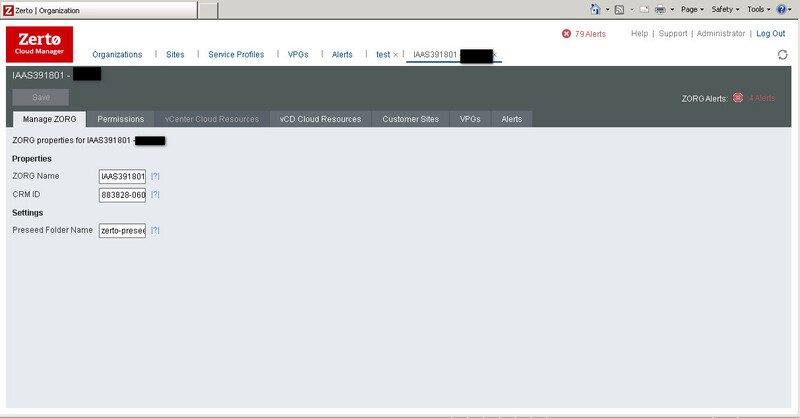 edit, delete, peer site (vCenter or vCD), status and RPO.